Lottie Pumpkin is an ordinary girl who longs to be a princess, attending Rosewood Hall on a scholarship. Ellie Wolf is a princess who longs to be ordinary, attending Rosewood Hall to avoid her royal duties in the kingdom of Maradova. 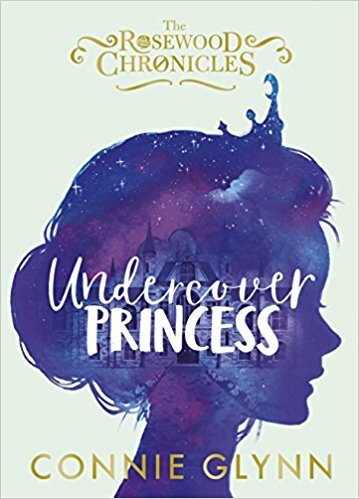 When fate puts the two fourteen-year-olds in the same dorm, it seems like a natural solution to swap identities: after all, everyone mistakenly believes Lottie to be the princess anyway. But someone’s on to their secret, and at Rosewood nothing is ever as it seems.. The book begins with Ellie Wolf the princess of Maradova who doesn’t want the world to know that she is the princess and she has been on a wild streak and wishes to spend the last moments of freedom at a school in England of her choosing rather than the school that her father wishes her go to. We then meet Lottie Pumpkin getting ready to go to Rosewood Hall, the school that she has worked so hard to get into by following her dying mothers wishes. We follow Lottie on her journey and her entering the school and making friends very quickly. The school is all she was hoping for until she meets her room mate, Ellie Wolf and it doesn’t seem like they will be getting along well until Lottie snaps and says she is accepted in the school funding program and things change. I enjoyed this book very much, you get to know the main characters very well as Lottie is believed to be the Princess of Maradova by other students and finds out her actual room mate is the real princess and Lottie helps protects Ellies identity and they form a close bond. Many things happen and there are threats to them both, another character appears in the book, Jamie, a partizan, a person who will protect the princess at all costs; we learn how he became a partizan and follow as he forms close bonds with Lottie and protects her as well.